Milla Nova is a famous Ukrainian wedding fashion house whose dresses are being sold all over the world and became the synonym of elegance, sophistication and style. 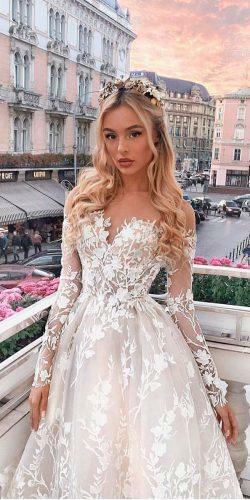 Unique ultra feminine design meets the best quality materials to create a perfect wedding look that will surely showcase the Goddess that you truly are. 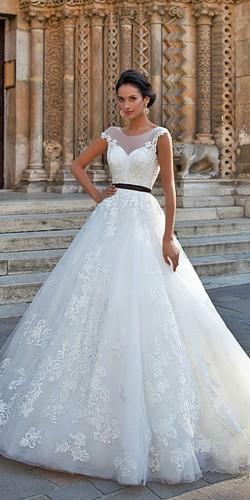 Look at these beautiful Milla Nova wedding dresses and pin your favorite! Milla Nova proudly presents its new 2018 Milla Nova collection. Its exquisite dresses are sure to leave you breathless with their intricate design. 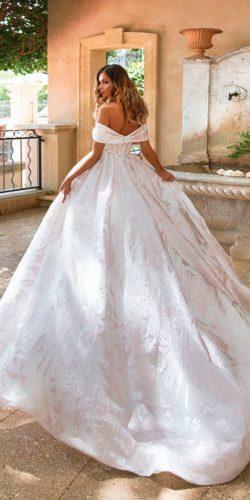 Feel yourself a princess on your special day with Milla Nova! 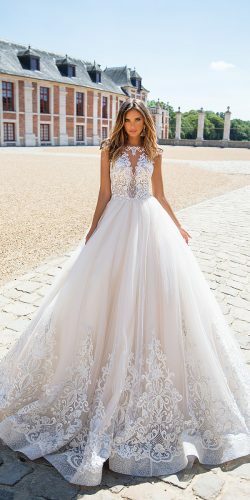 The new collection offers all of the all the renowned features of this luxury bridal brand: airy fabrics, lace and beading, with new romantic designs and textures. See the collection highlight below, or browse full collection here. This gorgeous Felice dress will leave him beathless. 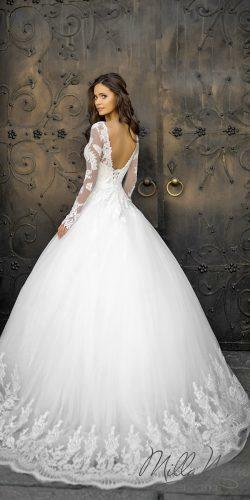 Its v-neckline illusion lace bodice makes your image both innocent and sensual. 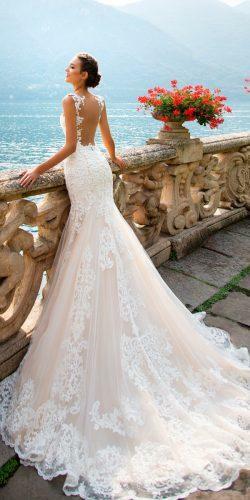 Intricate lace along its hemline completes the fairy-tale impression. 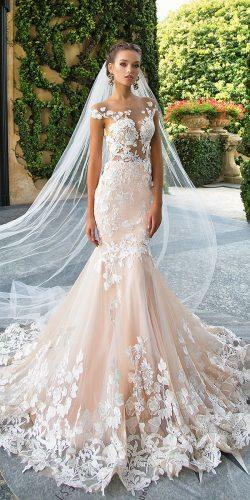 Illusion lace bodice and see-through long sleeves with intricate lace of Madonna will make you look magical. Its slit cut mermaid silhouette completes the image. 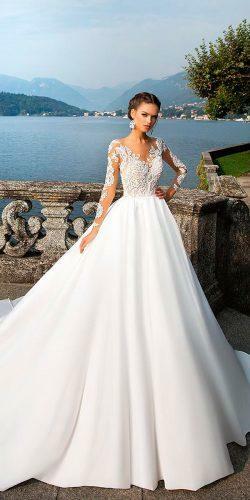 This dazzling sleeveless gown Aora is a true masterpiece of bridal fashion. 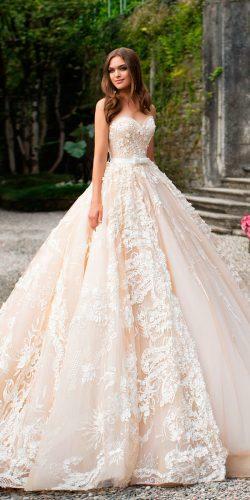 It’s sumptuous patterned dress and exquisite v-neckline floral applique bodice will make your image unforgettable. 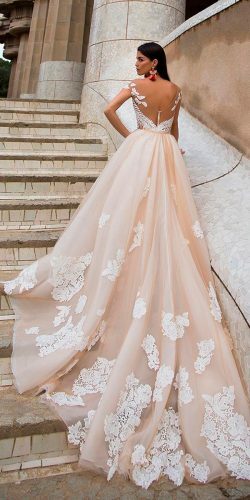 A very special simple dress Roze is a trend of 2019. 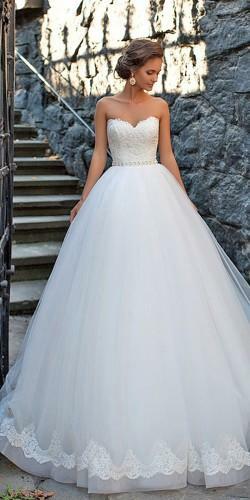 Ball gown bridal dress always create an atmosphere like you are in a fairytale right now. 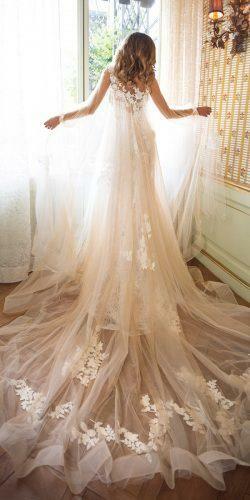 A divine sheath textured lace wedding gown with lace capes Jessica. A truly magical simple dress Josephine with elegant long sleeves. 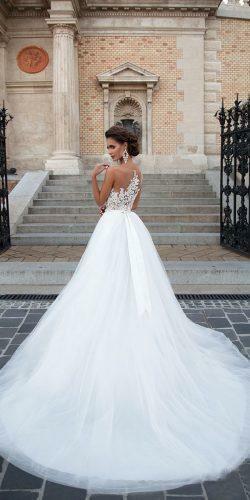 A sumptuous dress with a low back. Melani dress created from delicate hand-beaded lace. Look how wonderful it is! Lace illusion neckline dress Sensuella creates a magic surround. 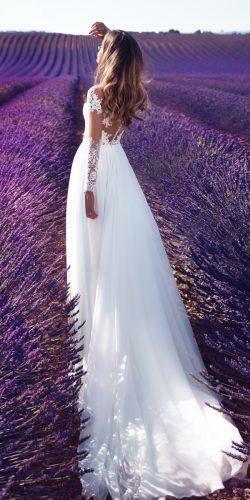 Amazing lace long sleeve wedding dress Violet will take your breath away with it’s lavender background. Milla Nova 2017 collection has all the brand signature features. Once again, Milla Nova proved its unique place in the world of wedding fashion. 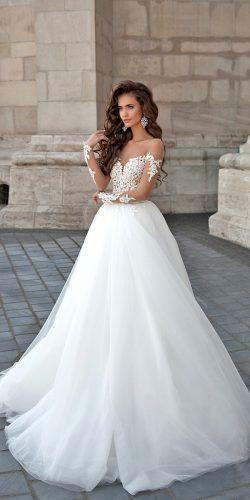 Its luxurious wedding gowns are gaining popularity worldwide. Milla Nova’s embroidery and beading, intricate lace patterns, transparent gauze and cascading tulle make a truly unforgettable image. Milla Nova bride is the very picture of elegance and chic with brand’s trademark textured illusion backs and open shoulders. Browse full collection here. 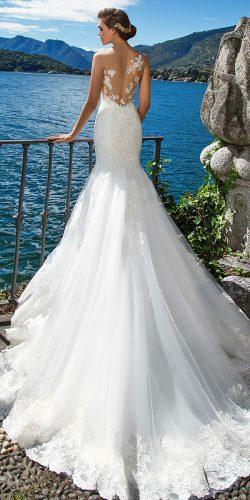 Milla Nova beautiful gowns are available at select stores worldwide in a wide range of styles. Discover even more gorgeous creations at millanova.com!